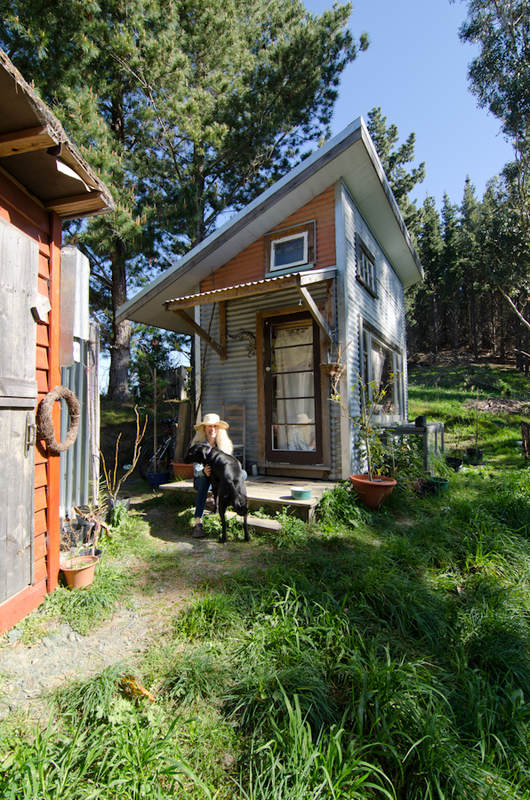 100 square feet is allowable in New Zealand without a building consent. This fun and fast project was not about fine design. It was about maximizing the feeling of space with a sleeping loft and a large window facing solar north. Combining one indoor sink that served both bathroom and kitchen needs, a futon sofa bed as both a sitting area and for overnight guests, a camping table as desk/dining, the couple that lived there with their two large dogs couldn’t be happier. Additional features include: 90% of interior/exterior made from recycled materials, outdoor shower, composting toilet, propane fridge and more.